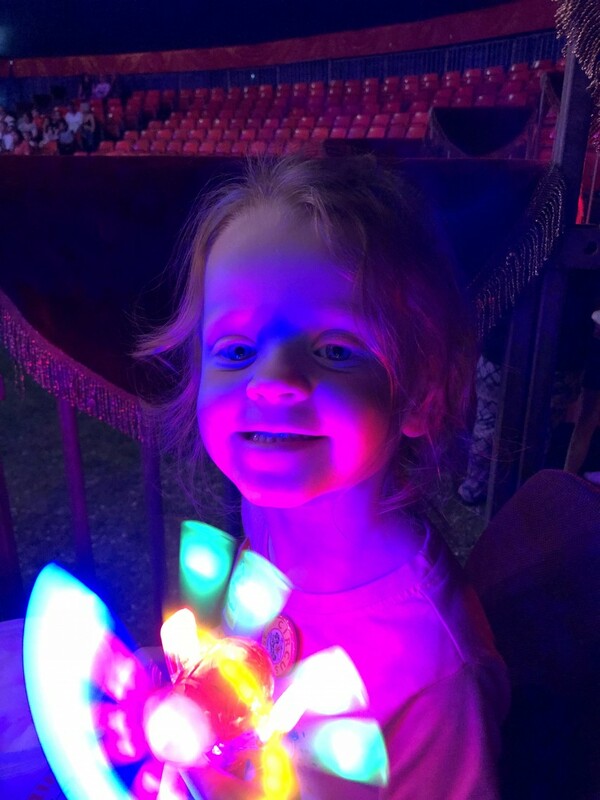 We are huge fans of the circus, ever since we went to Zippos Circus last year. It was amazing and the kids kept asking when they could go again. 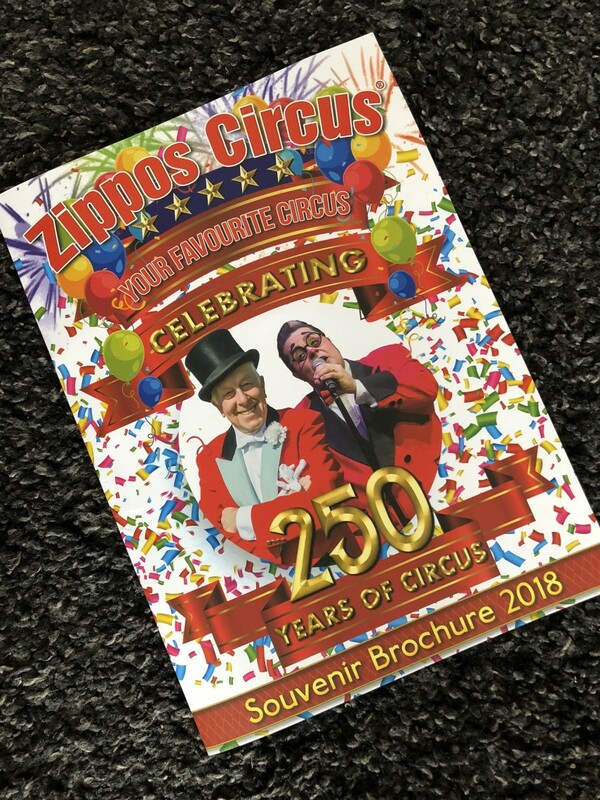 So, as soon as I saw that there was another show, this time Zippos was celebrating 250 years of the circus, I knew we had to go. It came to Glasgow again and we were all very excited. Have you been? If not, you really should. 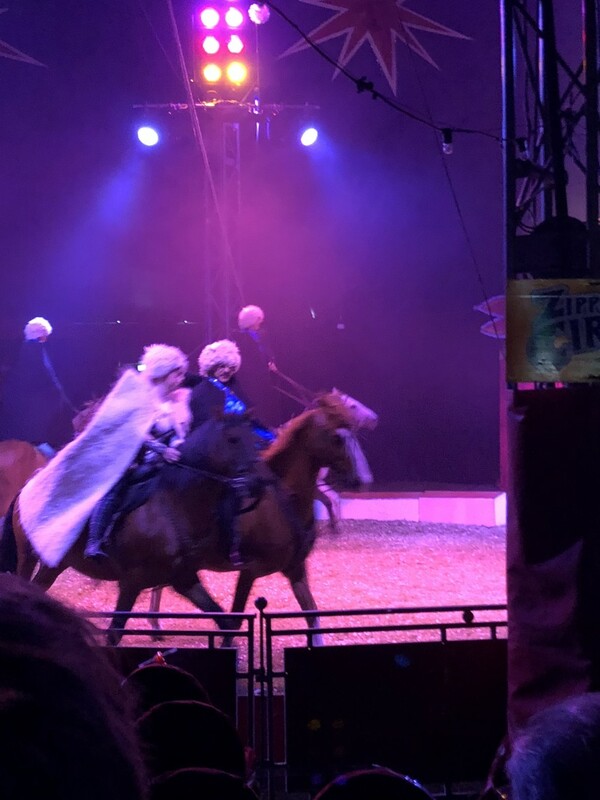 It is pretty amazing that the circus is celebrating 250 years of the circus. 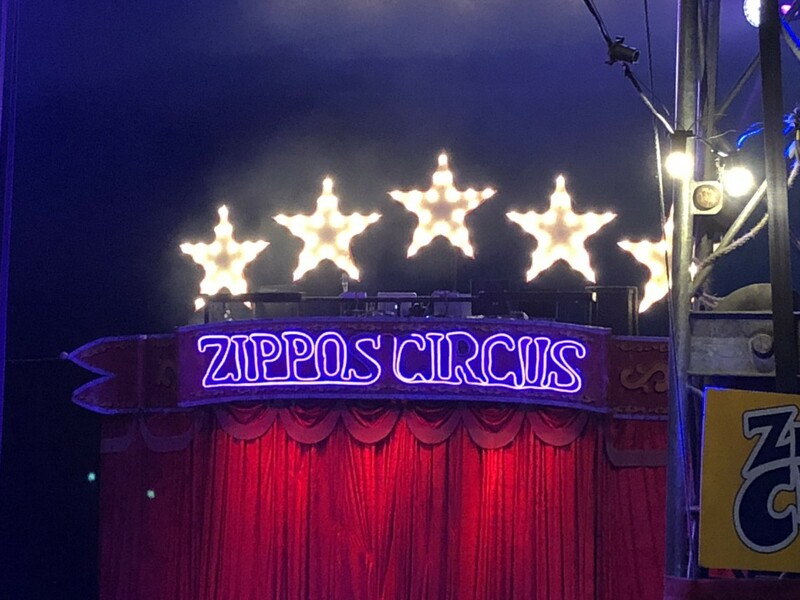 It’s not Zippos anniversary alone, but the anniversary of the first ever circus by Philip Astley in 1768. Entertaining people for decades upon decades, can you imagine how much has changed? But, one thing is for sure, the love and family and entertainment won’t have. A family is really what you get a sense of from Zippos, it is their life, they just love it and the performing, it comes across from the minute you walk into the tent. I love the fact that everything is reasonably priced from popcorn, candy floss, light up sticks to spinning plates. You really don’t feel like you are being ripped off and it’s a great value. You don’t mind buying the kids some treats, to make the day extra special. The weather outside was glorious, thankfully, it was quite cool in the tent. The kids were excited for the show to start, it really is the highlight of the year. 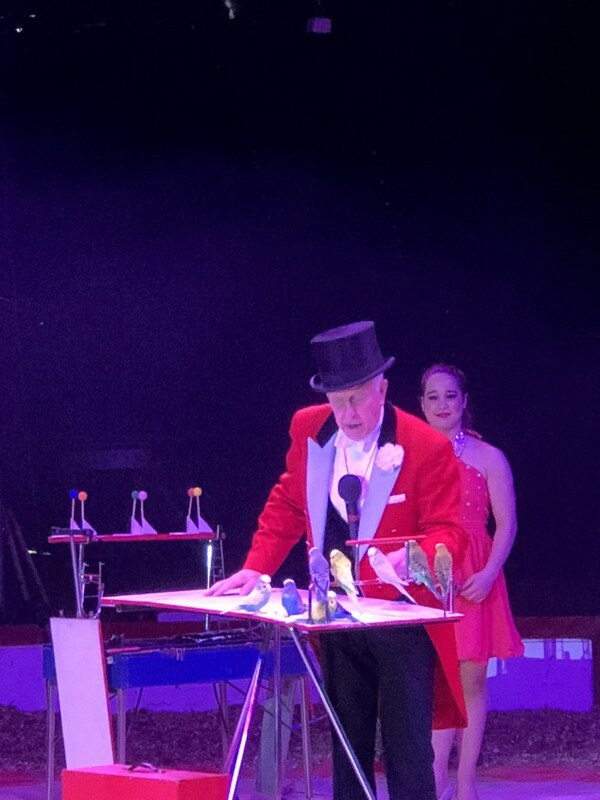 We just love Norman Barrett MBE, who is the ringmaster. He is incredible, such a nice guy. 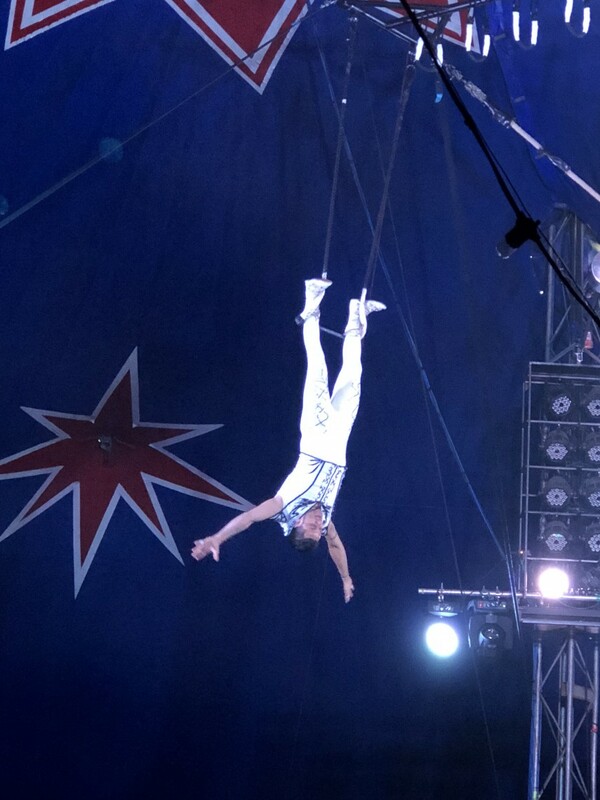 He has been with the circus for almost 7 decades, how incredible is that? He is a circus icon. Starting the show the first up was the incredible horse and rider. Next up with the Brazilian Capoeira the awesome Paulo dos Santos. He was incredible. There was even a juggler. 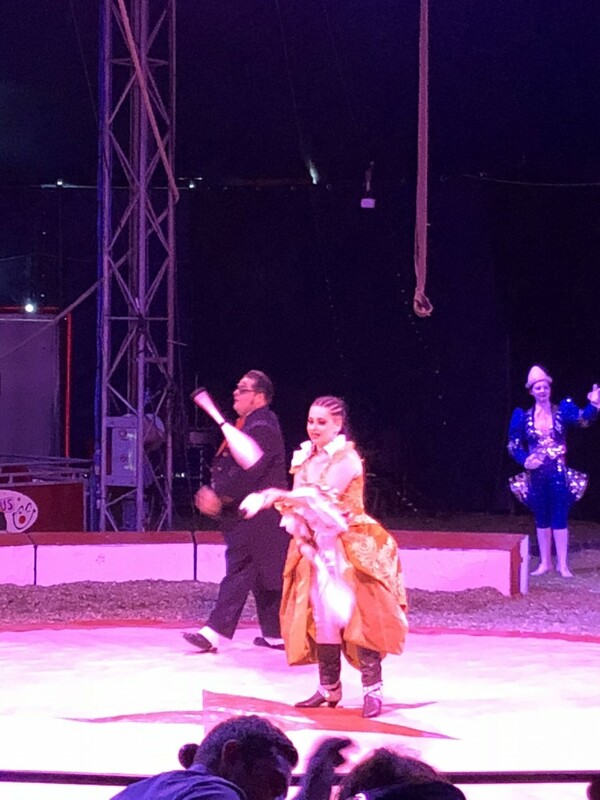 Can’t have a circus without a juggler. 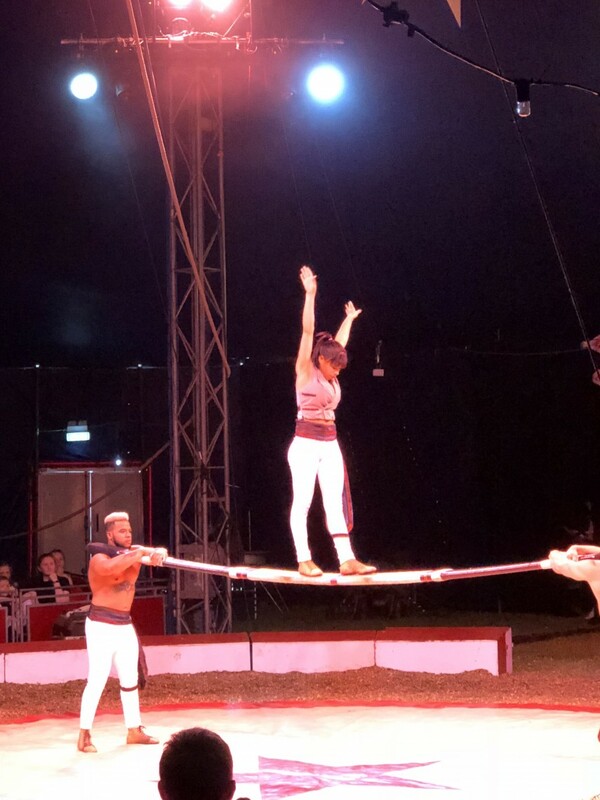 Acrobatic and bar skills are incredible. These guys are strong and the girls, wow! There are no safety nets, it really is a heart in the mouth moment when these guys jump. Above is The Hermansito Troupe with their display of Russian bar skills. How cool is that? They trust and support each other throughout. Totti the Clown, along with his wife Charlotte, who is the White Faced Clown in the photos up above are truly brilliant. These even bring on their two kids. See it really is a family affair. They are so cute and inspiring the next generation. Honestly, the kids adored seeing them. 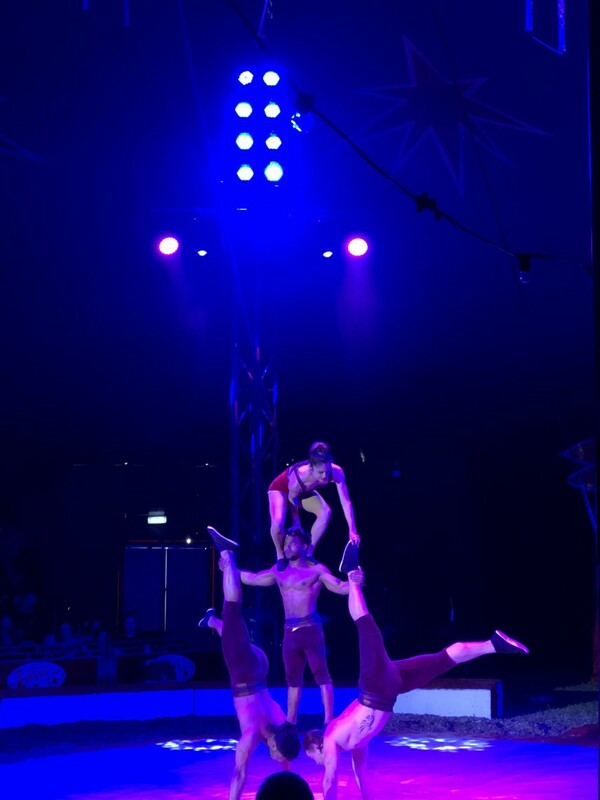 The trapeze artists were incredible. Going along and swinging through the air with no safety net, I may have bitten a nail or two worrying they might slip, but not a foot is put out of place and you will sit there with mouth agape. The Troupe Havana was up next with their acrobatic adagio. These guys are super flexible, like incredibly so. I really struggled to get a photo of the amazing Khadikov Troupe of Cossack. They are truly incredible. Jumping about from horses, hanging off them and the horses are beautiful. Well looked after and happy looking. I think my favourite part was The Supernova Rocket and The Garcias. It starts with a rocket going round high in the circus and you don’t know what is going to happen. The smoke effects add to the participation. Then out comes The Garcias. Doing an acrobatic display at high speed on the rocket. Honestly, breathtaking stuff. It was incredible. Then came Aria’s favourite. Norman Barret MBE and his performing budgies. Sounds a bit weird, but they are awesome and so funny. How he gets them to do it is beyond me. We just love it. The Garcia’s brought out the Garcia Juniors to show off their amazing skills at such a young age. 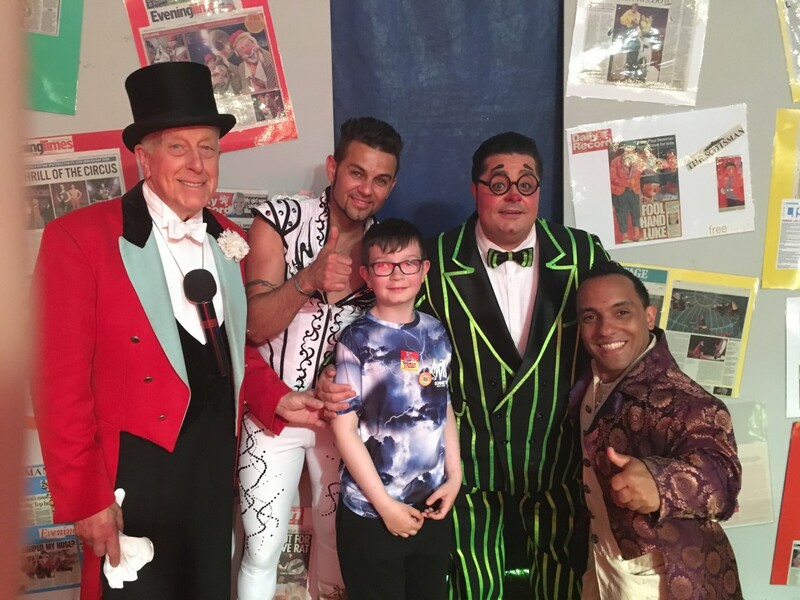 It really was amazing to see the next generation of circus performers being past down from generation to generation. 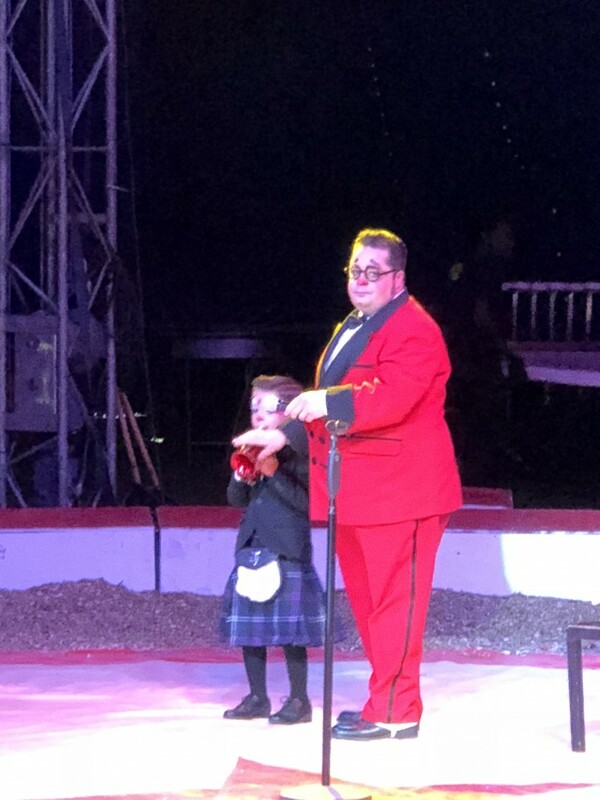 They are all incredible and family values and the love of the circus really does shine through. 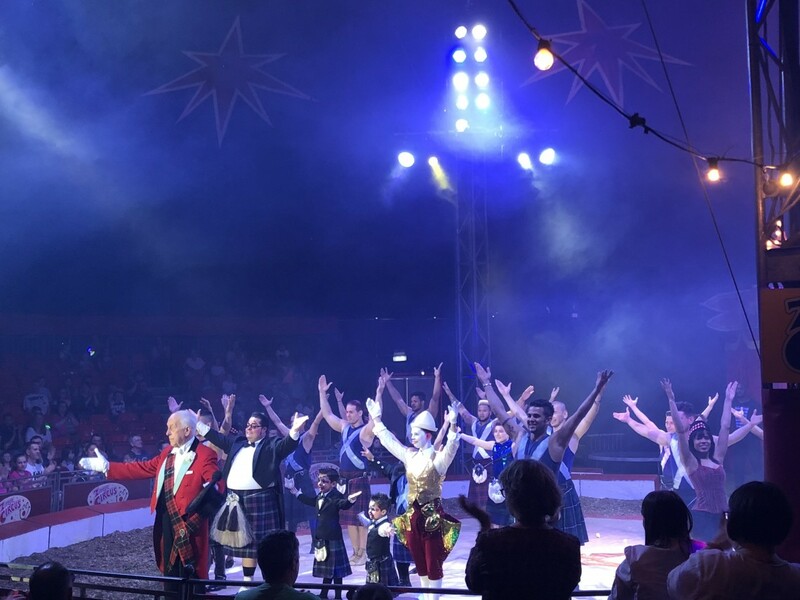 The finale saw all the starts of the show, including the Tottie clown family dressed in kilts to celebrate being in Scotland. It was a tad emotional. I can’t tell you how awesome this circus is. You just need to go. 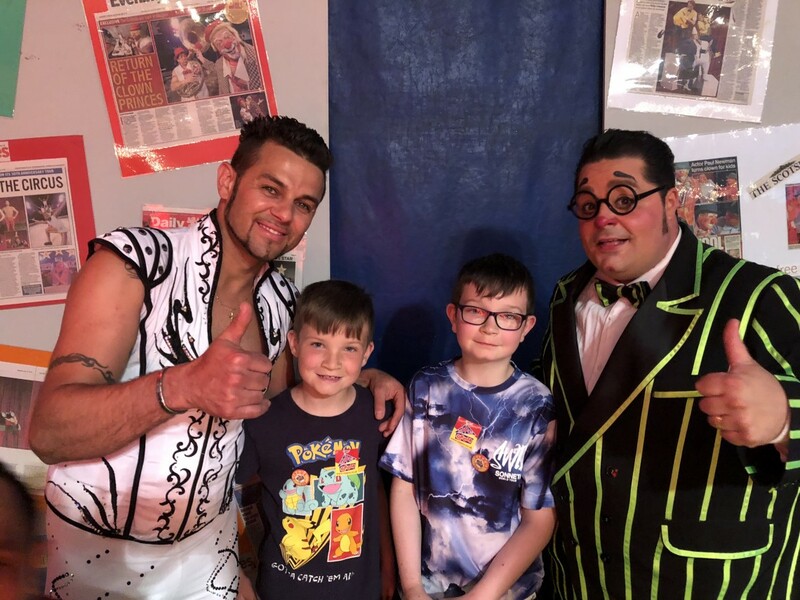 During the interval and at the end the stars are all approachable and are happy to talk to you about the circus, the families and how much they love what they do. The show itself is brilliant if you go you will truly love it. All the family will. The place has such a great atmosphere from the minute you walk in and everyone has the biggest smiles on their face. 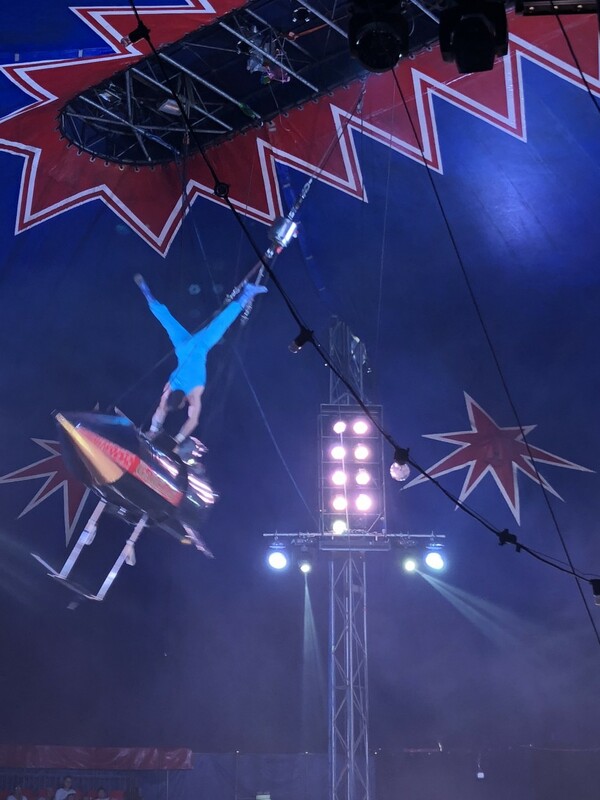 If you fancy going, and you really should, Zippos Circus is on tour around the UK until the end of October 2018. Tickets start from just £9 for adults and £7.50 for children (under 15 years old) and under 2’s go free if they don’t occupy a seat. 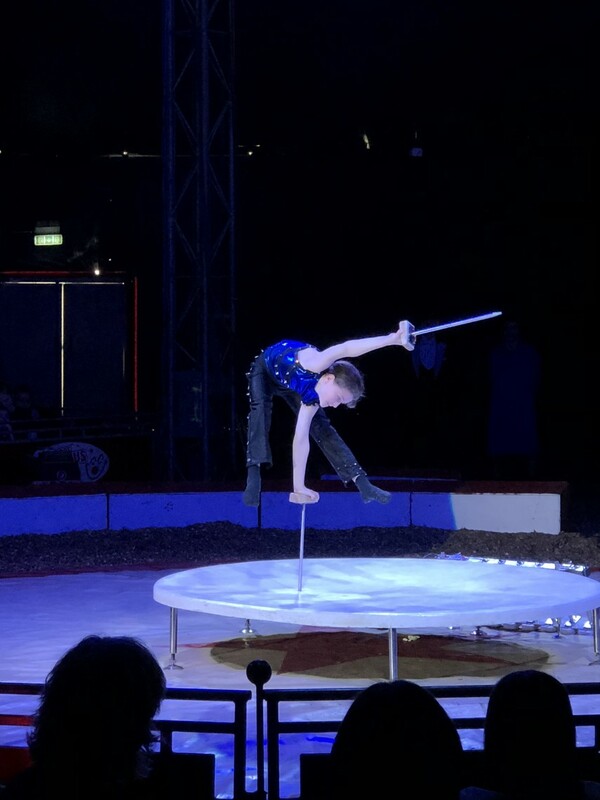 Disclaimer:- We were invited to see Zippos Circus performance for the purpose of this review, but all thoughts and opinions are my own and we love love love the circus.